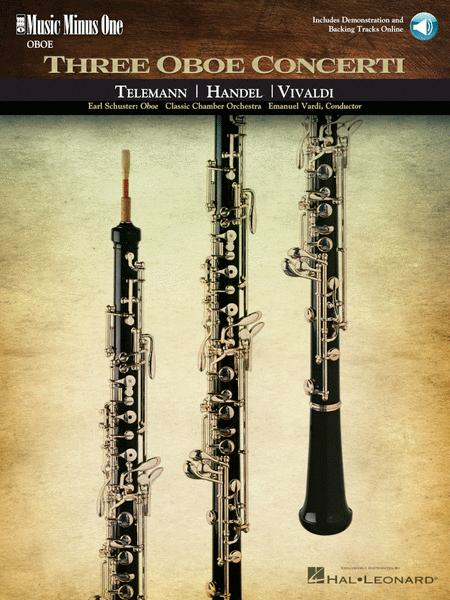 Three Baroque oboe concerti in three different styles, all of which brilliantly display the oboe's capabilities as solo instrument in the Baroque form. Includes a printed music score and online audio containing a complete performance with soloist; then a second version with the orchestral accompaniment, minus the soloist. Includes: Telemann: Concerto in F Minor; Handel: Concerto No. 8 in B-flat Major, HWV301; Vivaldi: Concerto in D Minor, RV454 (TV236). The audio is accessed online using the unique code inside each book and can be streamed or downloaded. The audio files include PLAYBACK , a multi-functional audio player that allows you to slow down audio without changing pitch, set loop points, change keys, and pan left or right.